Byron (forearm) will not join the Habs on their three-game road trip, Arpon Basu of The Athletic reports. The earliest Byron could return to action will be Feb. 19 versus Columbus, as he remains in Montreal to continue his rehab. The center has played in a mere 36 games due to various injuries, which has limited him to just 19 points this year. 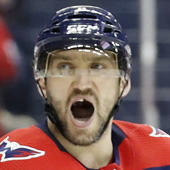 If the Ottawa native can return to the lineup soon, he could still push for a third consecutive 30-plus point campaign.